The American Lung Association released its brand-new State of the Air report Wednesday morning. The study finds the air we're breathing is getting better in some areas and worse in others. The annual report finds particle pollution across the country is down thanks to cleaner diesel fuel and power plants, but ozone pollution is up. 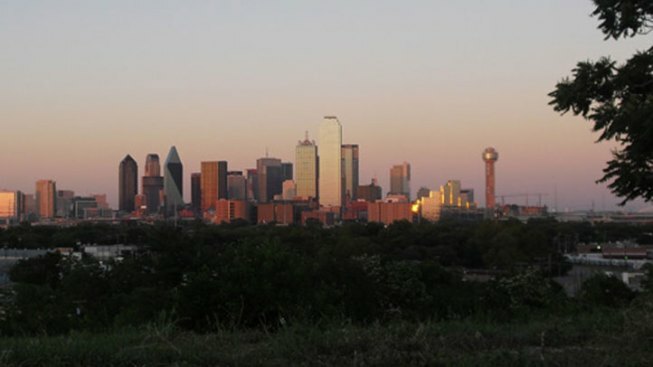 Ten counties in North Texas received failing grades for high ozone days. Collin, Dallas, Denton, Ellis, Hood, Hunt, Johnson, Parker, Rockwall and Tarrant all received an F.
Kaufman and Navarro counties received a C.
Smog is worse and the American Lung Association blames warmer weather. "Which is bad news for public health," said Paul Billings, with the American Lung Association. "It shows we need to take the threat of climate change very seriously." The association said polluted air can lead to more asthma, heart attacks and strokes. In all, they count 147 million people — almost half of the country — living in unhealthy air. In fact, all but three of the top 25 cities saw ozone levels increase. The report comes just hours after the U.S. Supreme Court issued a key ruling on pollution. The high court ruled 6 to 2 that the federal government can police particle pollution that floats across state lines. "This is about people's basic health, and about a level playing field," said Delaware Gov. Jack Markell. It's a big defeat for coal, mining and other industries that fought the rule. The decision limits emissions from plants in more than two dozen states.